Right now, I’m sitting in the front row of our local gymnastics center’s waiting area, near huge, plate glass windows, doggedly watching my 4 year old’s class. Not because the class is riveting (girlfriend, please!). 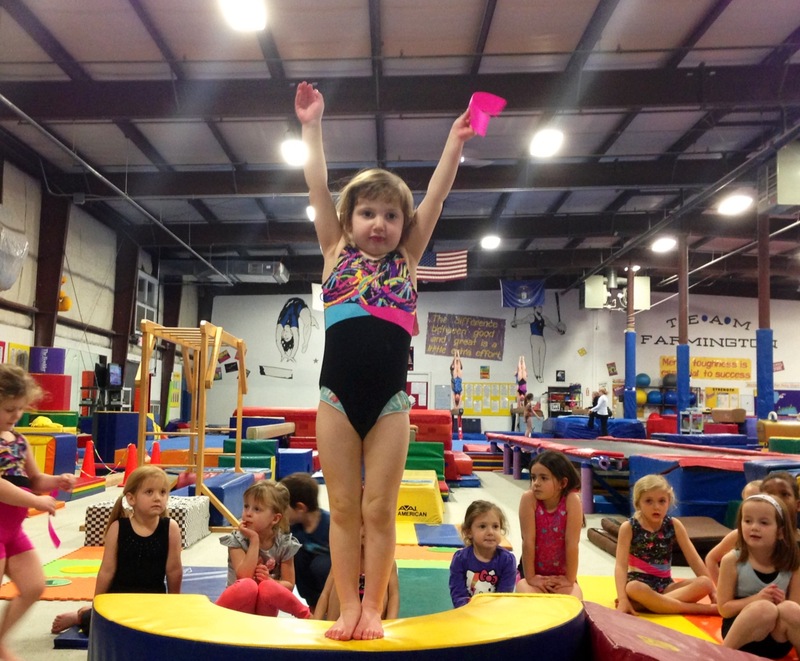 In truth, it’s not even my daughter Neve – in her purple gymnastics suit with silver stars, and her brown, curly hair swept up in a side ponytail – that I’m focused on. It’s another girl in her class, a bigger one who’s wearing a pink dance leotard with a sheer skirt. Why? Because Pinky’s the one who got so impatient with Neve last week during class that she, by all reports, decked her. Now, in fairness, Neve responded by calling Pinky “stupid” right back, which is less than ideal; but Neve was also upset enough by what happened that she came out to find me in the waiting area. Unfortunately, I was utterly lost in the world of my laptop just then, sitting in the way-way-back row of chairs, scrambling to finish up an assignment for work. (It was an obituary for a longtime “Jazz Revisited” radio host, Ann Arbor-ite, and all-around-mensch Hazen Schumacher, so even though I hadn’t known of his work previously, I was studying up like crazy in order to try and do his life/career justice.) Being a 4 year old, Neve often leaves class for a bathroom run, and sometimes – well, sometimes she just leaves because she’s 4 and gets distracted easily. But this time, my bouncy little sprite wore a dark, cloud-like expression.